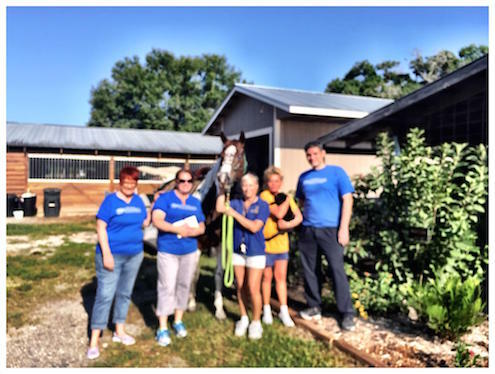 On May 2, 2015, staff from Associates and Bruce L. Scheiner returned to the Special Equestrians facility in Fort Myers to help them buckle down and giddy up! 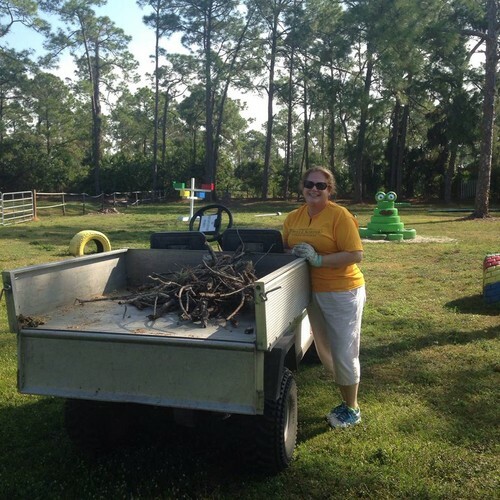 As part of the Firm’s ongoing Community Outreach Project, BLS volunteers once again arrived at the horse farm, equipped with caches of elbow grease and admiration for all of the life-changing work done at Special Equestrians. 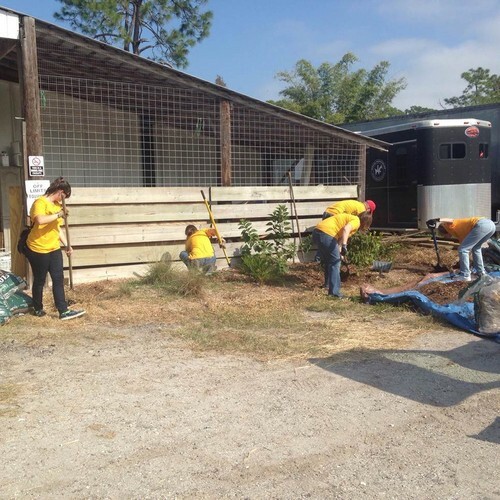 To beat the heat, our team got started early, weeding and refreshing the butterfly garden, trimming hedges, cleaning up the front road area, helping with clerical tasks in the office, and even serving the horses their breakfast: delicious and nutritious hay! The day was productive and fun for everyone involved—even the horses, one of whom we fell in love with on sight! 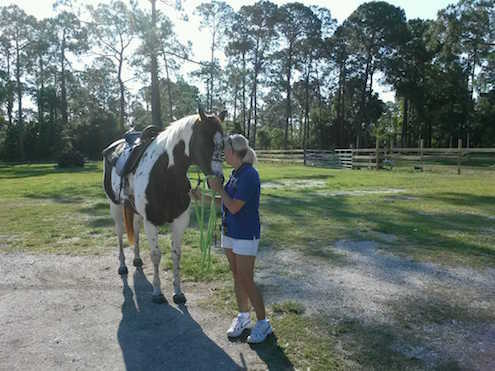 “Freckles,” the gorgeous Appaloosa seen bonding in the picture with a BLS volunteer, quickly cantered her way into our hearts and had us wondering if it’s time for Associates and Bruce L. Scheiner, Attorneys for the Injured, to have its very own mascot! 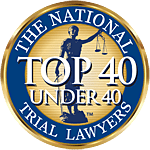 Be sure to check our “Giving Back” page soon to see what we’ve been up to in your neck of the woods, and to learn more about worthwhile causes and organizations that need your support. The BLS Community Outreach Project volunteers returned to the Special Equestrians farm on January 31st for a beautiful morning of gardening, weed-whacking, trimming, cleaning, and some good ol’ horsin’ around! The event was part of our ongoing relationship with Special Equestrians and a great way to gallop into 2015. We were all pleased to have a small part in maintaining this wonderful place. It is a joy to see the smiles on each and every rider’s face, and a great treat to ‘snuggle’ with some of these incredible horses. We can’t wait until our next trip to the farm! 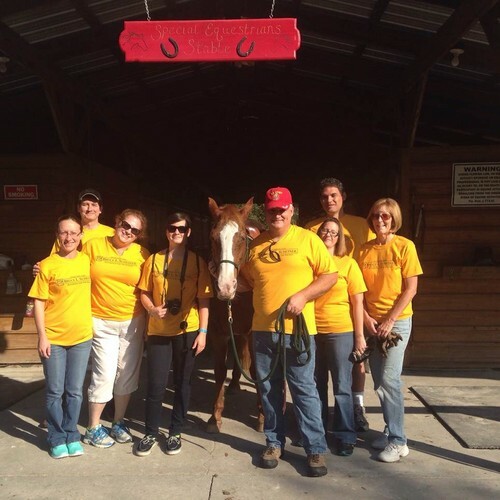 Horseplay and community service don’t usually go hand-in-hand, but an awesome group of BLS volunteers made that happen during a recent trip to Special Equestrians, a nonprofit organization offering therapeutic horseback riding classes and equine-assisted activities to disabled persons in Southwest Florida! 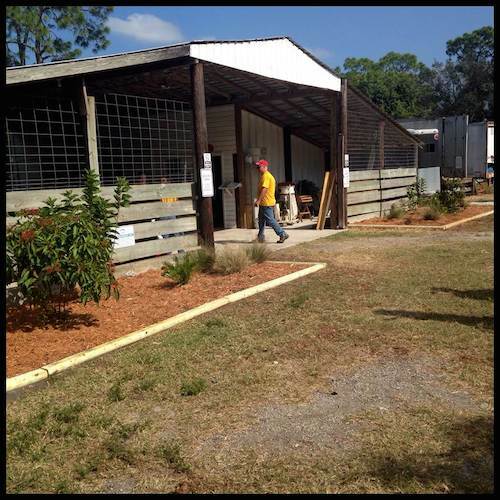 When Associates and Bruce L. Scheiner heard that Special Equestrians needed help maintaining its 10-acre, 12-horse facility in the Buckingham area of Fort Myers, we were chomping at the bit to lend a hand. 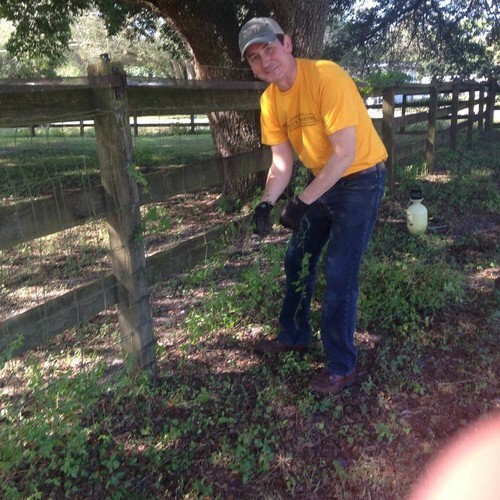 On November 15, 2014, our team refurbished two butterfly gardens, trimmed shrubs, battled weeds, and tidied up the horses’ playground at the Special Equestrians farm. The date marked the first of a series of beautification and maintenance projects scheduled to be carried out by BLS volunteers in partnership with the great people at Special Equestrians. The volunteers got to mingle with some really cool horses and learn all about the meaningful and unique service this organization provides our community. 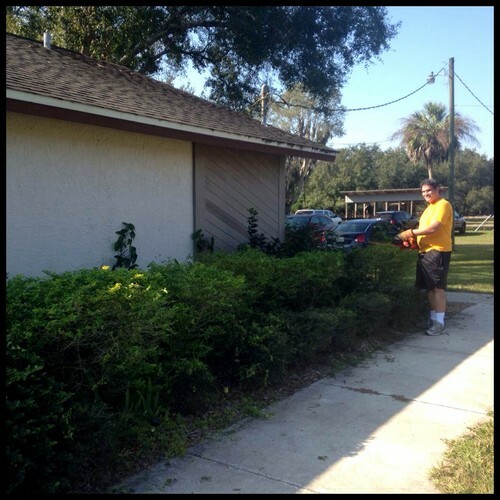 Be sure to check out our pictures from the event and return to our Community page to get the latest on what Associates and Bruce L. Scheiner’s Community Outreach Project has been doing in Southwest Florida!